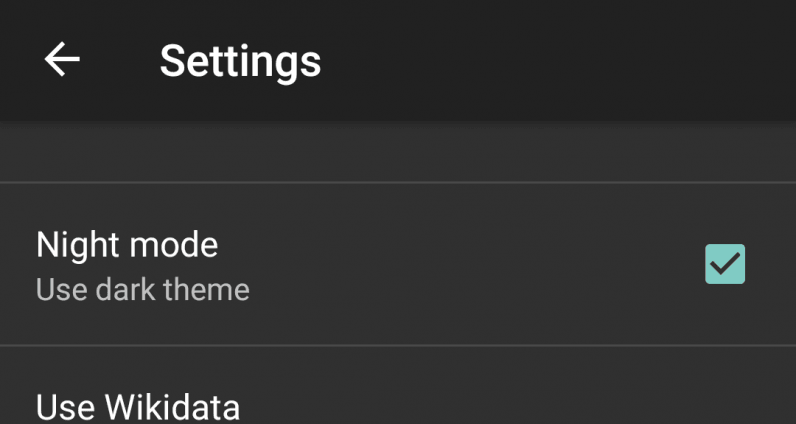 One thing Android users have consistently asked for over the years is a dedicated dark mode for browsing at night – and it seems Google has finally decided to accommodate this request. Responding to a thread asking to include the feature in the next iteration of the mobile operating system, a Google employee confirmed that its engineering team has added the functionality. Responding to a thread asking to include the feature in the next iteration of the mobile operating system, a Google employee confirmed that its engineering department has added the functionality. “Our engineering team has added [dark mode],” the employee said. “It will be available in a future Android release.” Unfortunately, the message makes no mention precisely in which iteration the new feature will land. But from the looks of it, it will likely be included in the upcoming Android P.
Among other advantages, dark mode makes browsing at night less heavy on the eyes and also reduces battery drain. For the record, the Big G has been toying around with the idea of including dark mode in its OS since at least the release of Android M. More recently, the feature was spotted in the developer version of Android N, but ultimately did not make it to the commercial release. Indeed, my colleague Napier Lopez highlighted the lack of dedicated black mode as one of the reasons why custom-built Android skins are swiftly catching up with stock Android – especially when it comes to user experience and easy of use. It’s not clear whether dark mode will work in third-party software, but the good thing is that a number of apps have already taken the initiative to build their own modes for browsing at night. The list includes Twitter, YouTube and Samsung’s Internet browser. In the meantime, you can always resort to third-party apps like Substratum to enable dark mode – or just try one of these tricks. Listen to some of the world’s leading designers at TNW’s flagship event in May. Check out some of our confirmed speakers and more info over here.